Creative Commons by anna_t on Flickr. Who? What? As you may know, we announced our next long-term stop as the country of Montenegro. While that still holds true, we’re taking a side trip when we leave Berlin in only five days. Time flies! 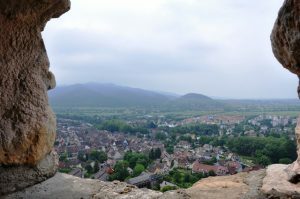 We’re headed down to the region of Breisgau-Hochschwarzwald – better known as part of the larger Baden-Württemburg region of Germany, home to the city of Freiburg and the Black Forest. This smaller region surrounding Freiburg is known as the “Tuscany of Germany,” so we probably don’t have to explain all the reasons why we’re heading that way before we leave Germany. While we are making our way there for all of those reasons that do not need listing, our main motivator is to spend time with our good friend and renowned artist dust, who hails from the small town of Staufen im Breisgau. You probably haven’t heard of that village, but you will certainly know the story of Faust. It is said that Dr. Faustus sold his soul to the devil at an inn in Staufen. Well, all right then! 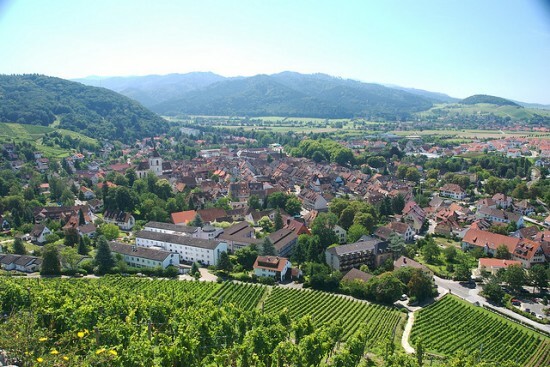 Staufen im Breisgau, Germany. Creative Commons by pittnat on Flickr. We’ll be anxious to see pics from the region! Thanks for sharing dust’s work. Was he using a spray technique? Indeed, we’re looking forward to it in a crazy way. He was using spray paint and brushes there. He uses a lot of different methods, often depending on the surface.